The Rufus Cuff brings immediate productivity and safety gains to your industrial workforce. 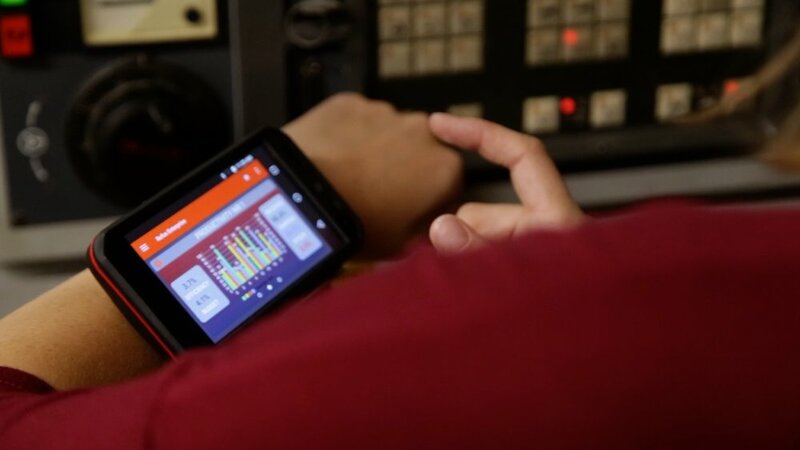 Built for the smart warehouse, manufacturing, field service, and many more rugged work environments, our wearable technology brings a robust and user-friendly interface that enables your mobile workforce to achieve performance optimization. Check your email for more info! Refine workflow, lower costs and reduce liabilities through centralized metrics reporting. rufus Dashboard tracks items like pick rate, tasks completed, activity levels and more. Improve workforce communication with group or one-to-one messaging. seamless integration with existing workflow. works on-site and off-site. No more pagers, emails, or text messages. 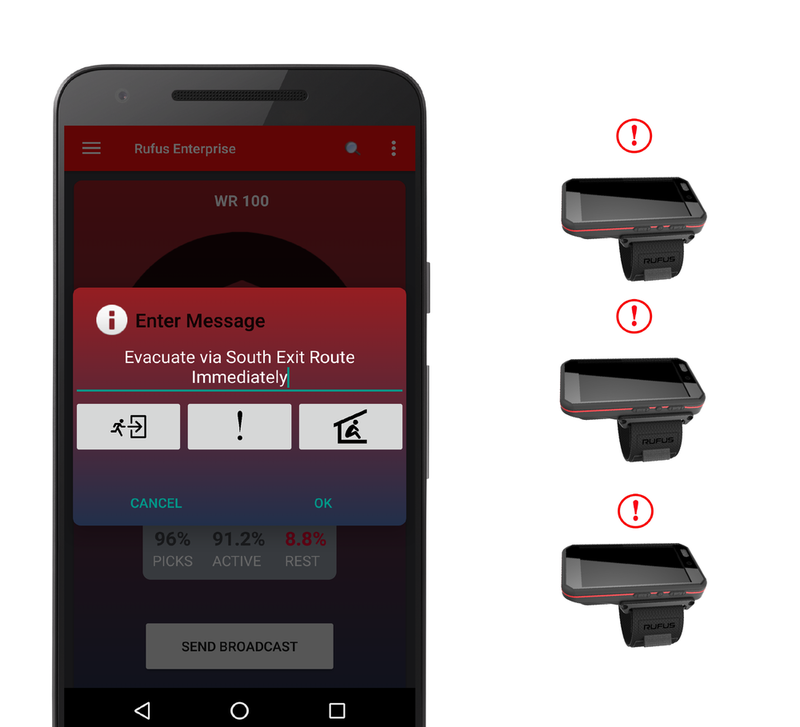 Quickly broadcast critical and emergency messages to an entire facility or company-wide in times of crisis or time sensitivity. Improve safety measures during emergencies. Lock down Rufus Cuff and Android mobile devices* to reduce time waste and employee distraction. Set whitelists of accessible websites, apps, and other rufus enterprise features. WMS, ERP, Manufacturing Software, and Legacy systems integrate seamlessly with the Rufus Enterprise Platform via Web Application, Android mobile app or API. Locate and search for workers in real time. Optimize labor and task routes to increase efficiency and safety. Automated location based task assignments & safety alerts. the rufus enterprise platform is built for leading warehousing, industrial and manufacturing companies that manage industrial talent and assets across multiple facilities. REQUEST A DEMO KIT AND LEARN HOW WE CAN MAKE YOUR TEAM SUPERHUMAN.